A FATAL COLLECTION is a fantastic start to a new series. There’s a well plotted mystery and a hint of otherworldiness that makes this series debut a hit! The collection of shops and colorful characters sweep you in and make you want to stay. I really enjoyed the setting of this book and the characters, who were all intriguing and well developed. What an amazing setting for a story/series. Mary Ellen Hughes creates mind blowing imagery with her words. Each shop and cottage, the paths between, the music boxes and other keepsakes, come alive through her words. This was a fast read. 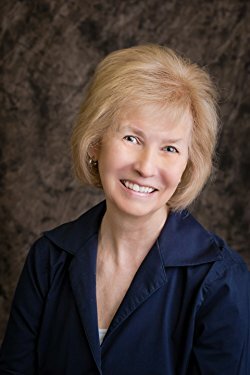 I found myself sitting down to read just a few pages, and realizing I’d spent more time in Keepsake Cove than planned. 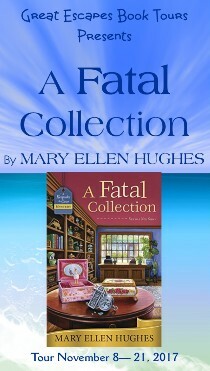 “A Fatal Collection” sounds like a great start to a new series. Really looking forward to reading the book. Looking forward to this first in a new series! Can’t wait to read A Fatal Collection and to follow this new series! I’ll interpret this as the tour page, since the link in the widget doesn’t work. 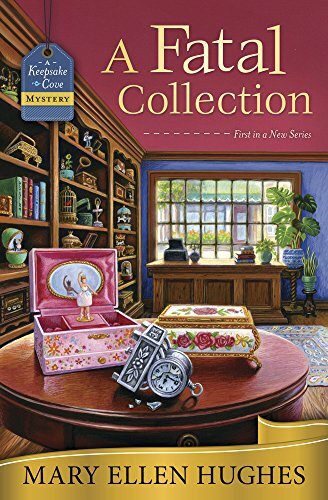 Looks like a fun mystery with music boxes! Hi John, Which link doesn’t work? Keepsake Cove sounds like a great place to visit.